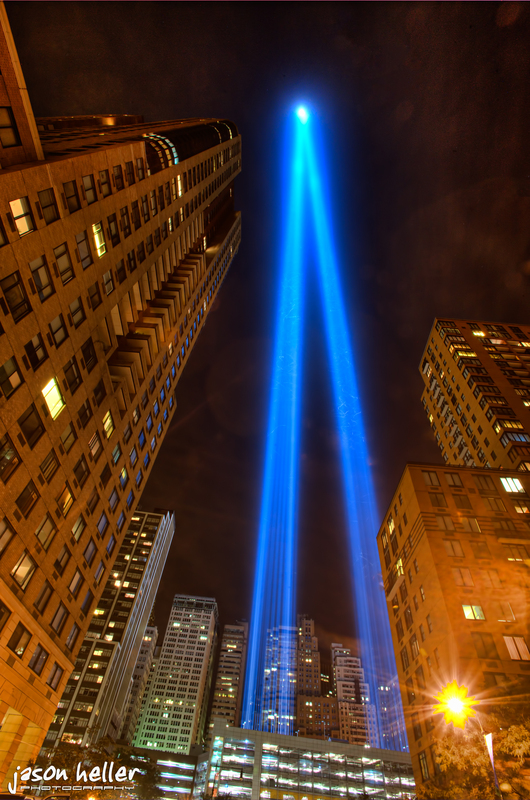 Each Sept 11th in NYC we are reminded of those lost on 9/11/01 with a mesmerizing memorial of twin blue lights to represent the twin towers. The lights are actually not two single lights but rather a series of 40 xenon lights that create the two rectangular shapes. It’s beautiful. I wanted to create from the base of these lights where you can see the individual light beams that make up each of the shapes. This is a pretty unique perspective. My thoughts go out to the families of all who were lost that day. September 11th is always a somber reminder of the times we live in. 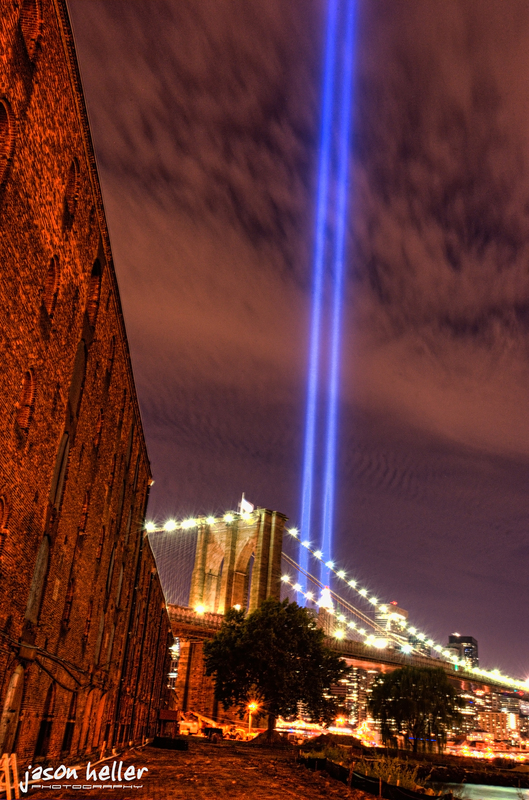 The memorial lights can be seen from anywhere in NYC. My thoughts go out to the families and friends of all the victims. Hoping that at some point in my lifetime the world will be a better place.